A big part of my job as Mr Breakfast is testing recipes that people have submitted to the site over the years. I love it, but I often find my diet confined to 4 major food groups: eggs, cheese, pancakes and bacon. Every now and then, I need to hit the reset button on my nutritional intake. 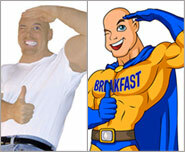 As a rule, I try to squeeze a healthy breakfast of whole grains and fruit between each indulgent breakfast. But sometimes you’ll read a post here about donuts. That usually means I had a few consecutive mornings of overindulgence. Such was the case recently. To get back on track, I spent last week having a different kind of oatmeal and smoothie every morning. I chose 14 recipes from the site that I’d hadn’t tested yet. I tried to create a menu with a wide range of flavors so the week would be exciting and fun (words not always associated with oatmeal). It was a great week. I was reminded that oatmeal doesn’t need to be boring or routine. My beliefs about smoothies being amazing… totally reaffirmed. Who doesn’t love a recipe whose only instructions are to throw everything in a blender. I feel energized, a little leaner and ready to take on the deliciously difficult task of having to eat omelets and pancakes this week. Take a look at my menu. Hopefully, you’ll find a recipe or two you might like to try. 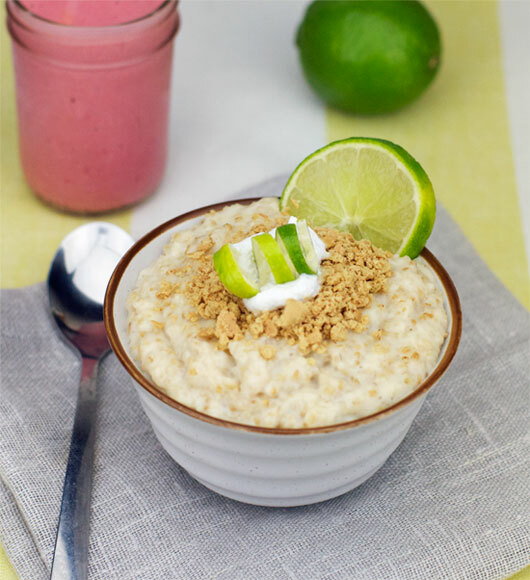 Key Lime Pie Oatmeal – This steel-cut oatmeal dish tastes a lot like key lime pie because it contains many of the same ingredients including fresh lime juice and crumbled graham cracker. 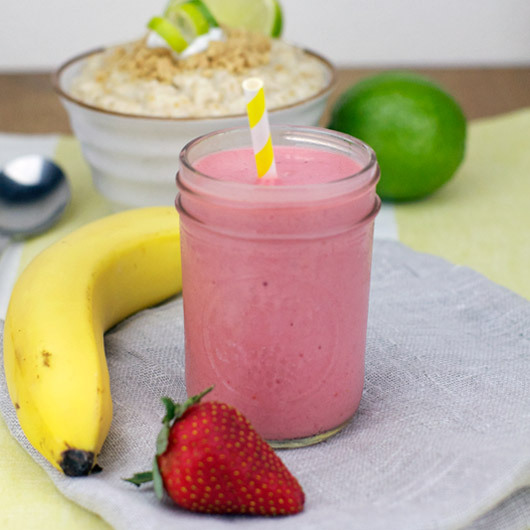 Honey Banana Breakfast Shake – This is a very basic fruit smoothie featuring bananas, strawberries and noticeable notes of honey. 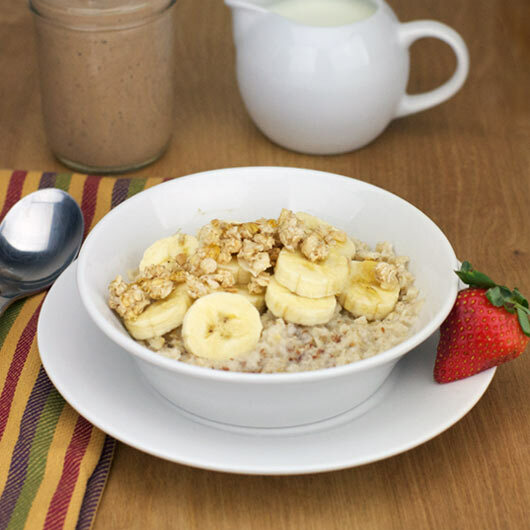 Banana Honey Flax Oatmeal – This recipe uses Old Fashioned oats and gets its flavor from bananas and honey with a nutrition boost from ground flax seeds. Choco-Peanut Banana Shake – Three great tastes that taste great together! 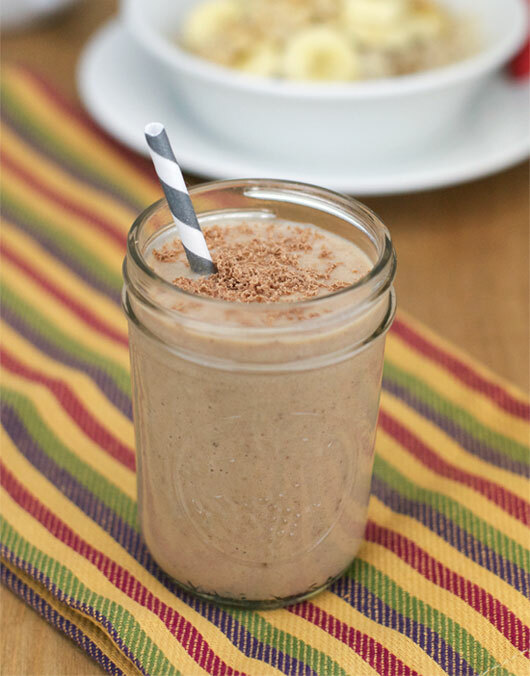 This smoothie contains peanut butter and cocoa powder. The flavor might remind you of a shake you’d have for dessert. 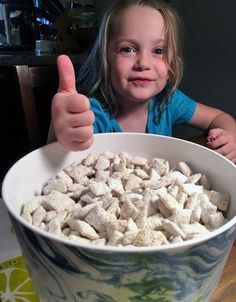 Wheat germ adds extra nutrition. 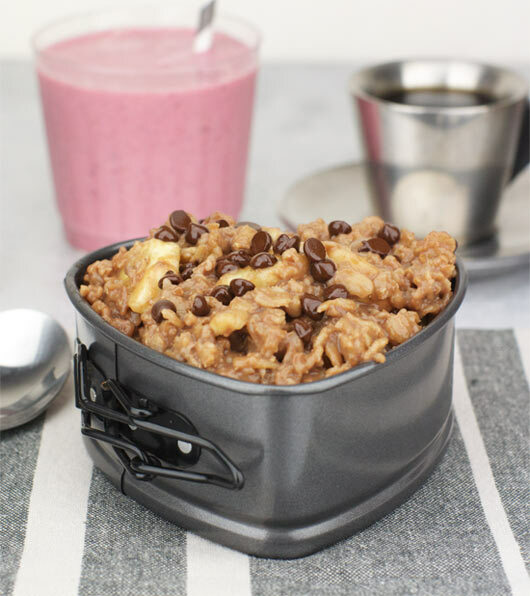 Chocolate Hazelnut Banana Oatmeal – A couple of tablespoons of Nutella adds chocolate flavor to these Old Fashioned oats. A few chocolate chips add even more! 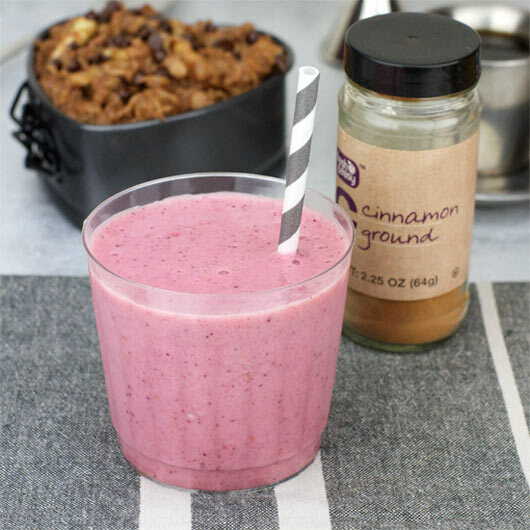 Cinnamon Smoothie – This smoothie has a little of everything: banana, raspberries, blueberries, orange juice, vanilla, etc. A pinch of cinnamon gives this one an almost candy-like essence. Sweet Scottish Oatmeal – This recipe uses steel-cut (aka Irish or Scottish oats) flavored simply with modest amounts of butter and brown sugar. I topped mine with raisins, walnuts and a splash of cold milk. 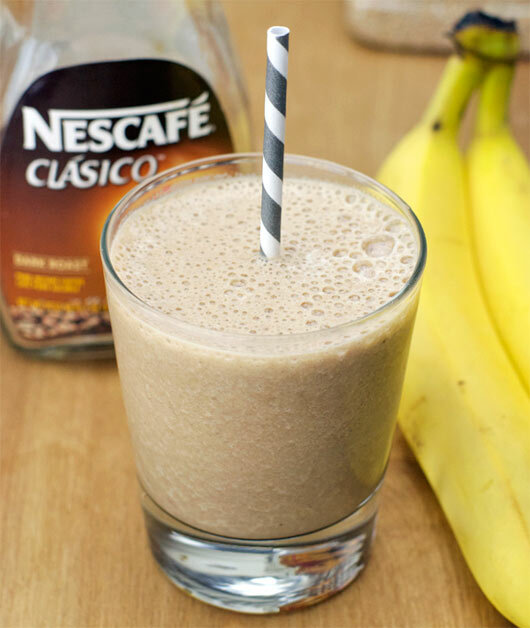 Banana Coffee Smoothie – For this smoothie, you’re supposed to use coffee flavored yogurt, but you can also use plain or vanilla yogurt and stir in instant coffee crystals. That’s what I did. 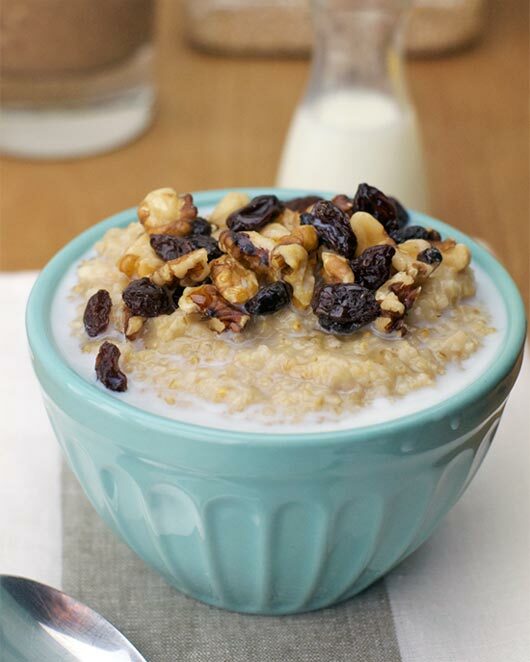 Maple Apple Raisin Oatmeal – This oatmeal is made from Old-Fashioned oats. 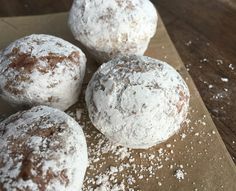 There are pieces of apple and raisins in every bite. For more taste and texture, I added a few chopped pecans. 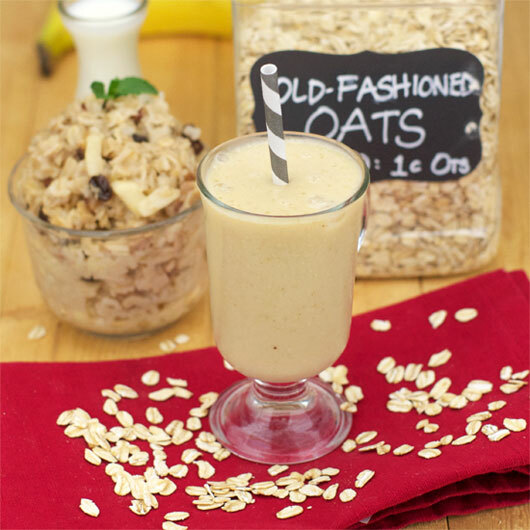 Oatmeal Smoothie – For a double dose of heart healthy oats, try an oatmeal smoothie. The blended oats make the smoothie thicker without really effecting the taste. The drink pictured above was pretty good. I personally prefer a recipe I tested last year called Banana Oatmeal Smoothie. 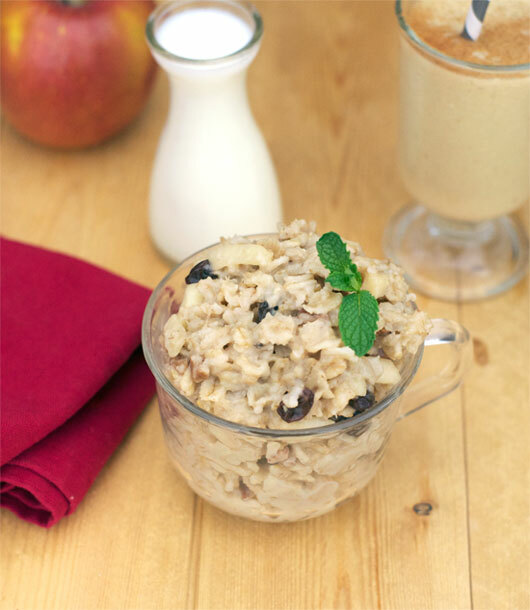 Curach (Irish Honey Cream Oatmeal) – For the start of the weekend, how about a shot of Irish whiskey in your oats. 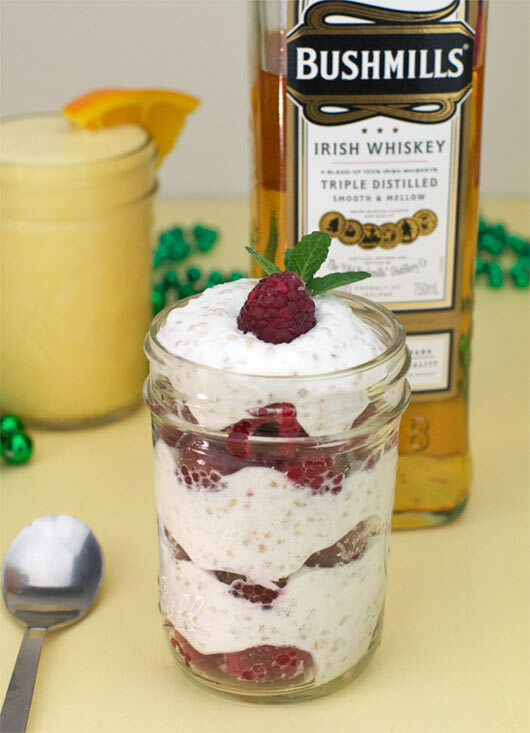 Steel-cut oats are toasted and added to whipped cream that’s been flavored with the whiskey and honey. Then, fresh raspberries are added to make a fruit parfait. 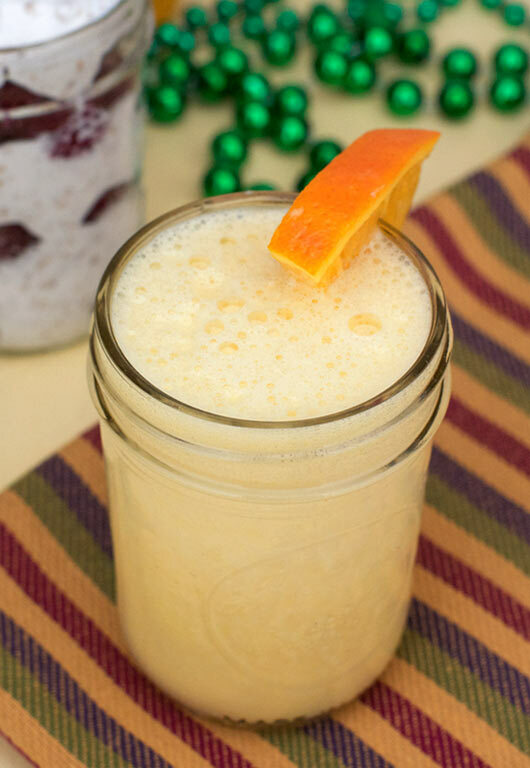 Easy Orange Smoothie – This smoothie reminded me of an Orange Julius. If you’ve ever had one, you know that’s a good thing. This one uses orange juice concentrate instead of fresh juice. 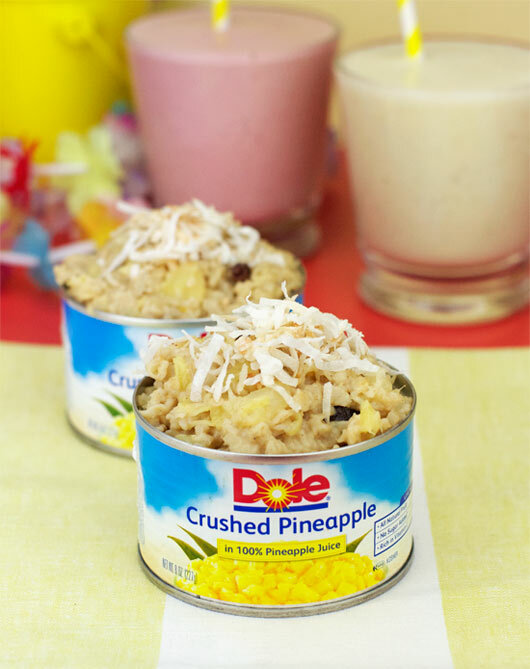 Pineapple Coconut Oatmeal – To close out the week, I went tropical… a taste of the islands in a bowl (or in this case… a tin) of oatmeal. Toasted coconut is used as a garnish. 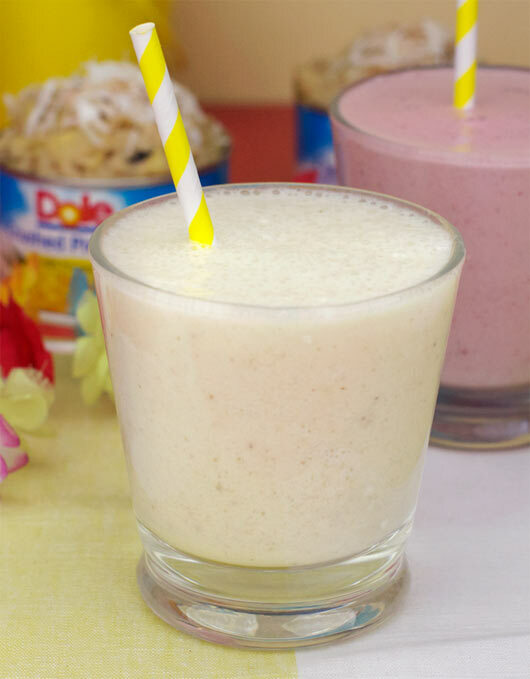 Hawaiian Twist Smoothie – Completing my island-inspired breakfast is a smoothie with flavors of banana, pineapple and coconut. Aloha! Those smoothies sound amazing. 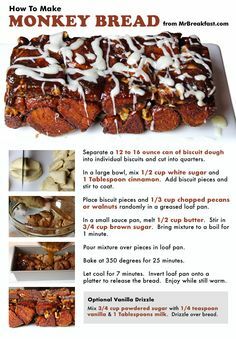 Anything with peanut butter or cinnamon is a must try for me.